The day offers the opportunity to highlight positive uses of technology and to explore the role we all play in helping to create a better and safer online community. It calls upon young people, parents, caregivers, teachers, social workers, law enforcement, companies, policymakers, and many more, to join together in helping to create a better internet. At NetSupport we are continually updating and enhancing product features to ensure our solutions are effective in helping schools manage their IT while supporting and protecting its users. Internet safety features included in our award-winning school IT management solution includes; NEW: contextual intelligence-based risk index, internet safety alerts, keyword monitoring, student ‘Report a Concern’ and much more. In addition, our classroom management solution helps teachers demonstrate and encourage positive digital interaction in the classroom. To learn more about our internet safety product features, click here. 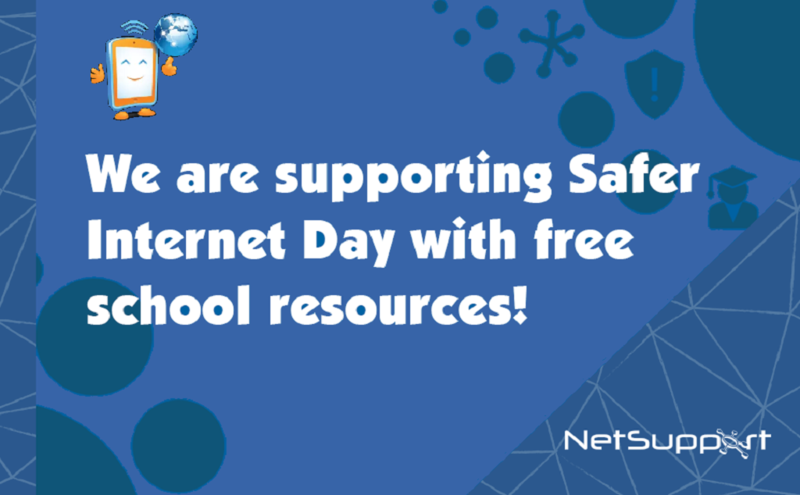 To help celebrate Safer Internet Day, we are also offering free resources to help staff and students stay safe online. Click here to view the free resources.